Editing/Updating an Individual Application – How can we help you? As an administrator, you can edit and update any individual's application. To access the individual applications, click on Applicants in the left-hand menu column. 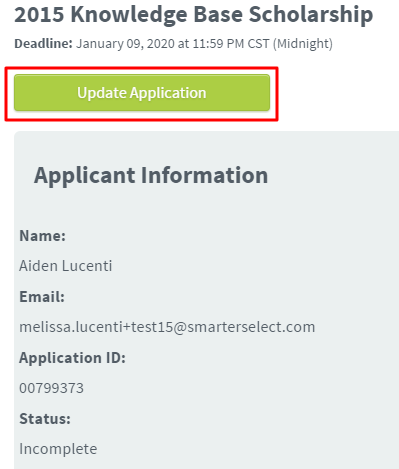 From the Applicants table, click on the App ID of the application you want to edit. Once the App ID is clicked, you will be taken into View-Only mode. Here, you'll be able to view the application. Click Update Application to make edits to the contents of this application.